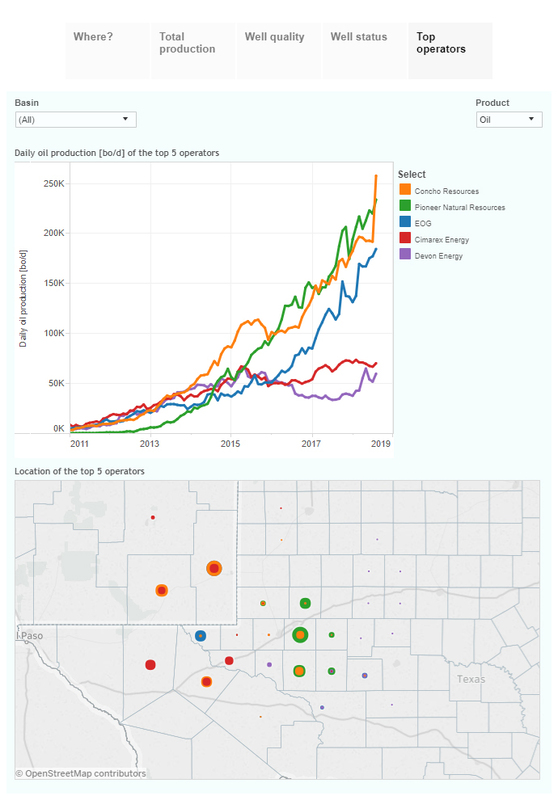 This interactive presentation contains the latest oil & gas production data from all 17,650 horizontal wells in the Permian (Texas & New Mexico) that started producing since 2008/2009, through August. 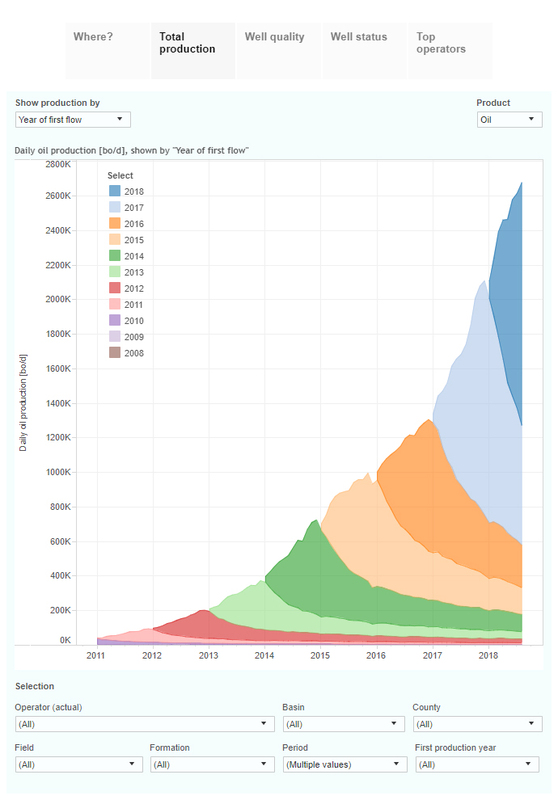 Oil production in the Permian from horizontal wells has continued to rise at an astonishing pace, adding about 1 million bo/d in production capacity in the 12 months through August, to about 2.7 million bo/d (with upward revisions coming). The main driver behind this growth is the high level of completion activity; so far more than 2,800 horizontal wells have been completed this year, double the level of just 2 years ago, and 40% higher than last year. As shown by the blue area in August, those wells that started so far this year were already contributing to more than half of the total output in that month. Well productivity has not changed by much in the past 2 years, as shown in the ‘Well quality’ tab. The wells that started in 2018 are so far tracking a recovery slightly ahead of the average 2016 well, which is on a path to recover about 200 thousand barrels of oil in the first 30 months on production (and hitting that level with a flow rate of ~100 bo/d). Concho finalized the acquisition of RSP Permian in July, and is now the leading unconventional oil producer in the Permian (see ‘Top operators’), just ahead of Pioneer Natural Resources. The improvements in recovery trajectories over the past 8 years are clearly visible here, driven by major changes in well design (longer laterals, bigger frac jobs). However, since early 2016 these trajectories have not shown further clear gains, even though younger wells are still peaking at a higher rate than before. Later today (04.12. '18) we will have a new show at enelyst (live chat combined with images), where we will take a closer look at the Eagle Ford, on which we reported last week. The show will be available here in the enelyst ShaleProfile Briefings channel. If you are not an enelyst member yet, you can sign up for free at enelyst.com. Early next week I will have a post on all 10 covered states in the US. If you are considering to subscribe to our data or analytics service, don’t wait too long! Starting from January 1st, we will raise our prices with a few percent. Request a trial or a demo here, or contact us. 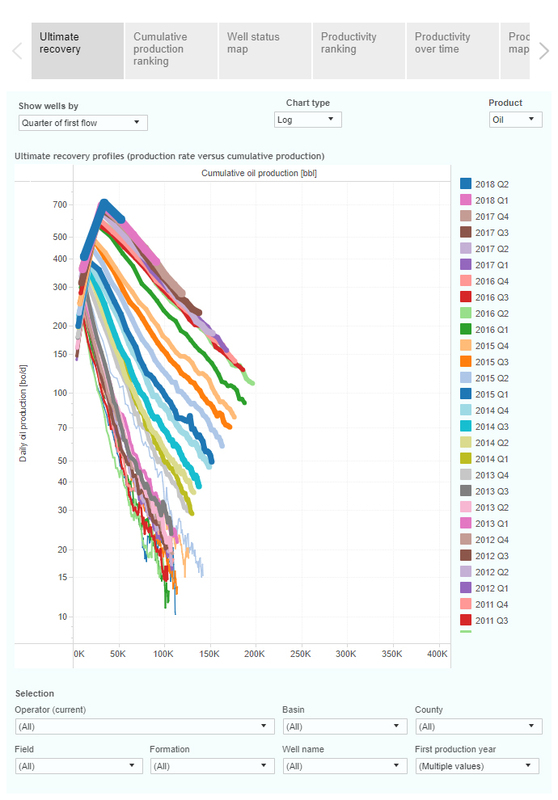 Color me surprised at the magnitude of the increase in US Crude + Condensate (C+C) production, but as usual I think that most analysts are missing the critical problem of offsetting the decline in existing production, as they assume that the US will produce 10 million bpd plus of C+C for the indefinite future. 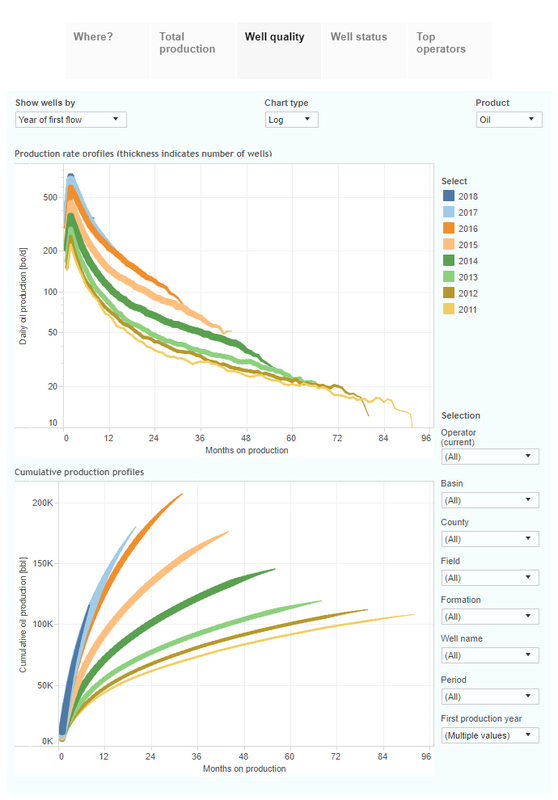 Of course, as production increases, the volume of the oil production decline from existing wells increases, and as the percentage of total C+C production coming from tight/shale sources increases, the underling rate of decline from existing wells increases. In my opinion, a plausible estimate is that at current production levels, the US needs to put on line about 2.5 million bpd of new C+C production every year, just to maintain current production. 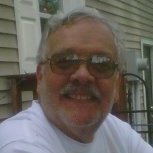 Or, in round numbers, the US needs to replace the current production of Saudi Arabia about every four years, i.e., we need to put on line the equivalent of Saudi Arabia three times over between now and 2030, in order to maintain current production. And of course, a very high percentage of US C+C production consist of very light crude and condensate. Based on September, 2018 EIA data, about 42% of US Lower 48 C+C production exceeded the maximum API gravity for WTI crude oil, 42 degrees API. Globally, in my opinion an effective peak (an "Undulating plateau") in actual global crude oil production (45 API gravity and lower) is obscured by the continued increase in natural gas production and associated liquids, condensate and natural gas liquids. And in regard to export and import data, based on the most recent four week running average EIA weekly data, US refineries were still dependent on net crude oil imports for one-third of the C+C inputs into US refineries, as more and more major net oil exporters quickly approach, e.g., Mexico, or have already hit, e.g., Denmark, zero net oil exports--and as the Chindia region continues to consume an increasing percentage of Global Net Exports of oil (GNE, the combined net exports from the 2005 major net oil exporters). From 2005 to 2017, I estimate that the volume of GNE available to importers other than China & India fell from 40 million bpd to 32 million bpd (total petroleum liquids, BP + EIA data). And given an ongoing--and inevitable--decline in GNE, it's a mathematical certainty that unless the Chindia region cuts their net imports of oil at the same rate as, or at a faster rate than the rate of decline in GNE, the rate of decline in the volume of GNE available to importers other than Chindia (ANE, or available net exports) will exceed the rate of decline in GNE and the rate of decline in ANE will accelerate with time. In fact, that is what we saw from 2005 to 2017, as ANE fell at about 2%/year from 2005 to 2017, versus basically flat GNE.